The DIAD system is a robust system designed and refined for the needs of directory publishers and online service providers. DIAD is designed to operate seamlessly on systems running Windows, UNIX, Linux and Apple OS X. DIAD facilitates the creation and management of digital subscription products and can handle their provisioning. DIAD gives you complete control of all critical phases of the publishing cycle, from lead generation, ad management, page creation, sales and fiscal reporting, customer service, collections, commission calculation and digital provisioning. DIAD eliminates data redundancy within lead, publication, billing and customer service functions, resulting in single point of entry and inquiry, fewer errors, and a savings of time and money. DIAD is constantly adapting to the needs of the 21st century publisher. Periodic updates automatically provide publishers the most current system enhancements. Integrated customer data from a single entry point controls the billing, publication, and data handoff for the most complex of needs, whether the product is electronic or print. DIAD works with a variety of APIs for billing and fulfillment of one-time purchases and digital subscriptions. User-customization is the linchpin of the system, allowing you to create your own style of product and supporting the way you do business. Multiple language support; Complex discount tracking; Unique lead strategies; On-demand canvass status reporting; Digital Keyword Provisioning; And much more. We can accommodate your needs through customized programming. 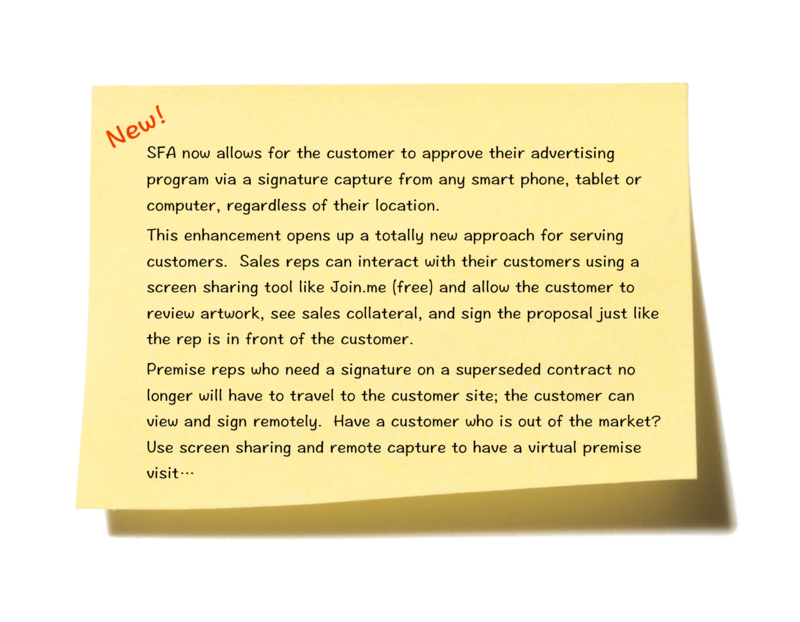 A completely cloud-based solution for your sales force with nothing to install on their devices, SFA allows reps to focus on what they do best - selling! SFA is cloud based and allows your sales force to run on a variety of devices from desktops to notebooks to tablets and even smartphones. Never worry about losing valuable data in the event a sales rep's device is lost, stolen or damaged! Our solution supports the offline capture of orders, payments, artwork and associated documents. Your reps can collect deposits and past due amounts via check, credit card or direct debit (ACH) and can arrange with your clients to have their installments or digital subscription payments be made automatically as well. Payments via telephone billing or statements are supported as well. Give your sales reps and managers the information the need to succeed! From rich background information regarding clients and prospects to sales dashboards and reports all at their fingertips. Speed communication between sales and the back office with automatic Q&A handling, commission reporting and sales material distribution. 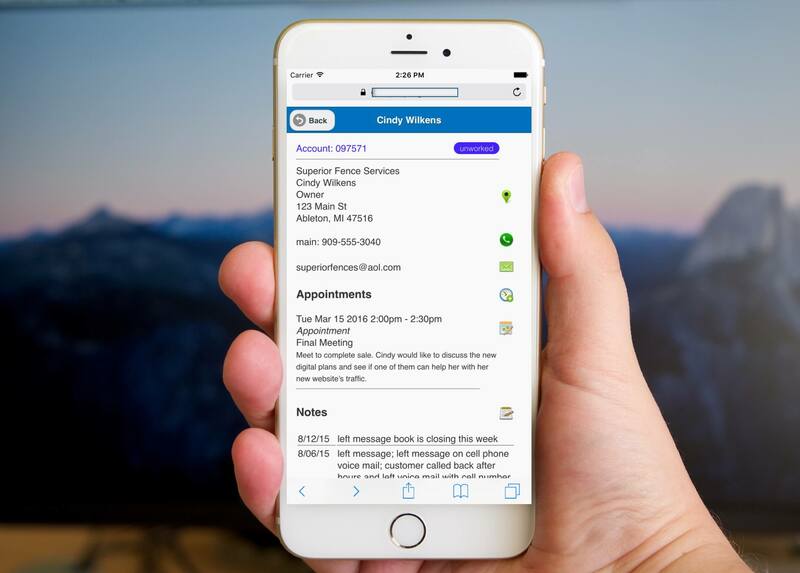 Reps can connect to our Sales Force Automation system on their smartphones and view and manage contacts, notes and appointments. 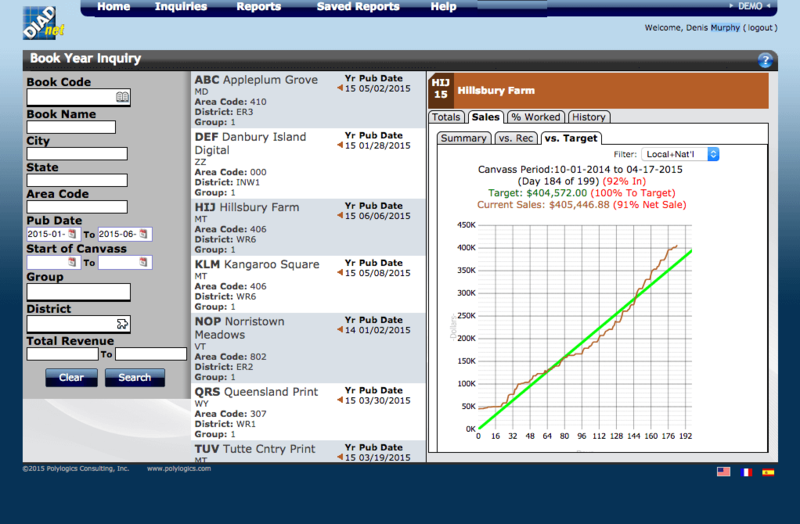 They can respond to back office inquiries, view sales reports and their objectives progress. 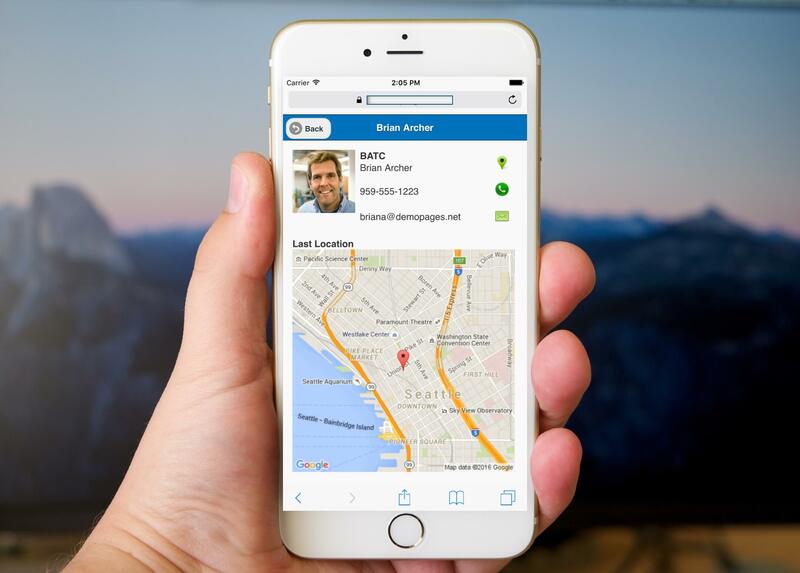 Sales managers can quickly view reps on their team and contact them through the app! An approach that supports the utmost flexibility in management and handling of digital subscription products from purchase through fulfillment! Digital items can be set to run for a fixed duration or indefinitely. A minimum commitment may be established to ensure that any substantial costs for creating the advertising be recovered. Items can be renewed, upgraded, downgraded or cancelled (at conclusion of commitment period). A one-time item like a setup charge may also be automatically associated. DIAD and SFA can automatically send and receive data with a variety of third-party systems via established APIs. This eliminates duplicate entry into multiple provisioning systems and reduces errors. Digital products can be set to begin billing when provisioned and DIAD can signal external systems to cease fulfillment when items have reached a conclusion either normally or due to non-payment. Sales credit can be recognized on a month-to-month basis or annualized (and the decision between the two may be based on advanced payments made). Commissions may be split between multiple sales reps. Items that continue to run on a perpetual basis following its minimum commitment may be set to pay at a lower commission rate thereby incentivizing the servicing of the account for renewals and upgrades. Convenient web access for management and customer service. For management, a variety of dashboards are available to track sales and financial metrics. Customer service has access to all documents, ads, contract, collections and billing information.